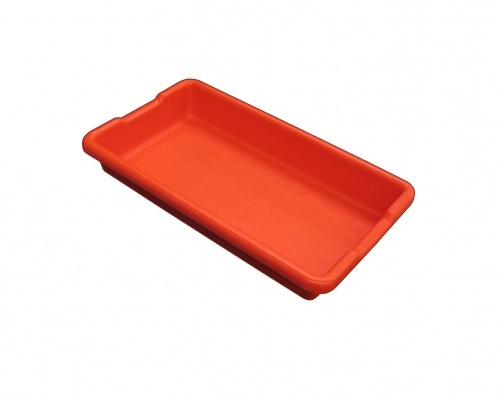 This unique 13L Tray is made in New Zealand. 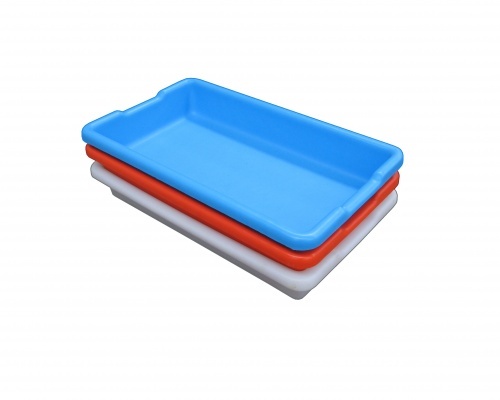 It is distributed nationwide and in export to Asia, the Pacific and Australia. 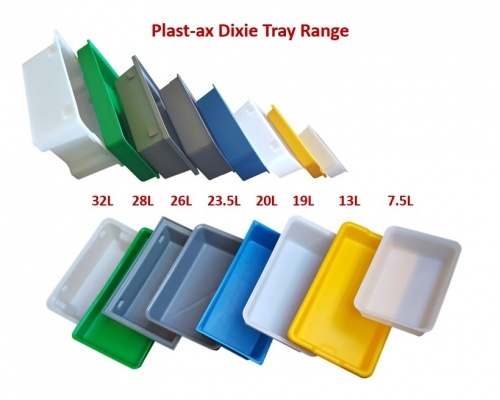 Like all Plast-ax products, this very strong dixie tray is made from Low Density Polyethylene, providing a longer lasting quality alternative to other brittle HDPE and PP tubs on the market. 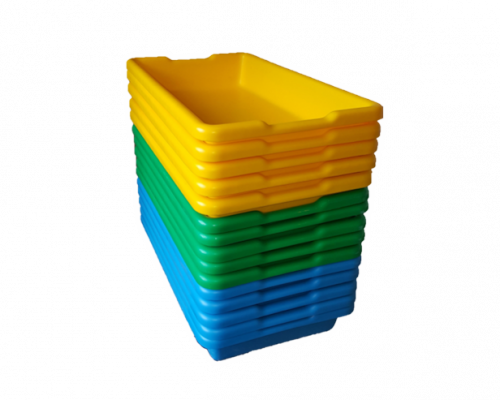 The 13L dixie tray nests very effieciently for stacked storage when emtpy; the large corners and rolled top lip provides safe easy handling and adds strength to the tray shape. 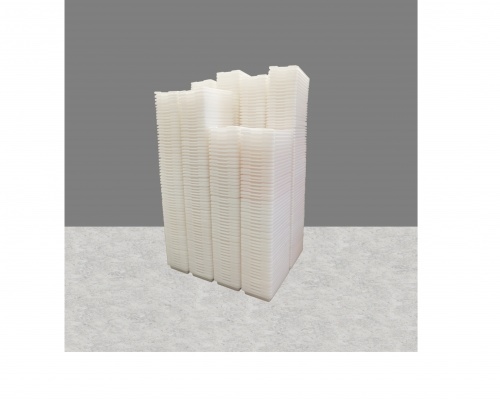 Plast-ax has mastered the art of combining the inherent flex of LDPE with 20 years of design experience to consistently product containment solutions for industries who demand endurance and product longevity.